Every office worker is familiar with that annoying post-lunch period. You’ve mentally switched off from work after your meal and you just can’t seem to restart your brain to crack on with the task at hand. Don’t strain yourself, let technology help you beat the afternoon slump. 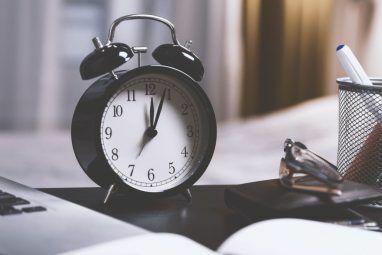 At the office, you can’t rely on tricks to beat the midday slump if you work alone 8 Ways To Beat Afternoon Slumps Productively When You Work Alone 8 Ways To Beat Afternoon Slumps Productively When You Work Alone Good eating and sleeping habits help. Planned work habits help with the inevitable even more. Here are eight simple workarounds when your productivity crawls, your eyes glaze over, and you stifle the yawn. Read More , like taking a power nap. So Harvard Business Review (HBR) has a few good strategies to get your productivity juices flowing again, which can be made a lot easier if you rely on a few apps to get you through them. Meditation has several scientifically proven benefits, the chief among them being a destressed mind and sharper focus. Use that to your advantage at work. You don’t need a yoga mat and any special apparatus either. Mindfulness meditation, the practice of developing self-awareness by focusing on one thing around you, is the easiest form of meditation to pick up. In fact, with an app like Stop, Breathe and Think, you can learn meditation on any device for free Learn Meditation On Any Device & Don't Spend A Dime Learn Meditation On Any Device & Don't Spend A Dime Contrary to popular opinion, you can meditate without a yoga mat, religious guidance, a peaceful personal space, incense candles, and any other apparatus. Here's a simple tool to help you begin. Read More . It works on both the PC as well as iOS and Android, and you can set a specific amount of time before you being a session, starting from just a few minutes. If you are fairly adept at mindfulness meditation already, another strategy is to use mindful web surfing to help you focus How The Simplicity Of Mindful Web Surfing Can Help You Focus How The Simplicity Of Mindful Web Surfing Can Help You Focus You can be more mindful of your browsing to stay focused, reduce stress, and be a lot more purposeful with your time online. With practice, you can strengthen your "mindfulness muscles". Read More . This way, your boss won’t see you with headphones plugged in and eyes closed, and also won’t know that you are actually meditating. When you’re stuck in that rut, sitting in the chair at your desk is the worst thing you can do. Get up, move around. 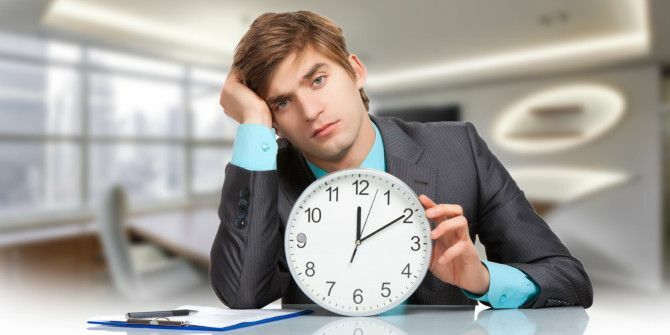 Productivity experts told HBR that even ten minutes of some sort of physical activity will get the oxygen flowing to help your mind and body overcome fatigue. You can kill two birds with one stone by handling all your email on your phone. In fact, there is something to the idea of using separate devices for separate apps Productivity Hack: The Surprising Benefits of Using Your Apps on Separate Devices Productivity Hack: The Surprising Benefits of Using Your Apps on Separate Devices If your app is installed everywhere, then your notifications are everywhere. To be productive, you might want to try accessing certain apps on certain devices only. The experiment might surprise you. Read More . One of my personal preferred strategies is to check all email on the phone and label messages wisely to tame my inbox Rediscover Gmail Labels and Finally Tame Your Inbox Rediscover Gmail Labels and Finally Tame Your Inbox There are plenty of tricks to deal with email overload, but there's one right under your nose that you might not be using: good old Gmail labels. Read More . The stuff that needs a detailed response is clearly marked for whenever I get back to my computer. If you would prefer a complete mental break from work, then use the time to slip in the quick 7-minute workout Use Free 7 Minute Workout Videos To Get Into Shape [Stuff to Watch] Use Free 7 Minute Workout Videos To Get Into Shape [Stuff to Watch] There are lots of YouTube videos that can show you exactly how your workouts should be going, and they won't cost you a penny. Read More . You might work up quite a sweat though, which isn’t ideal for the office if it doesn’t have a gym. To be more discreet, bookmark our eight easy exercises to stay fit at your desk 8 Easy Exercises To Help You Stay Fit At Your Desk 8 Easy Exercises To Help You Stay Fit At Your Desk Staying fit at your desk is actually possible. Here are some exercises anyone can do. Some don't even require getting up, others take no longer than 10 minutes out of your daily routine. Read More and do a couple of them whenever you want. They are less strenuous, less conspicuous, and get done in a jiffy. 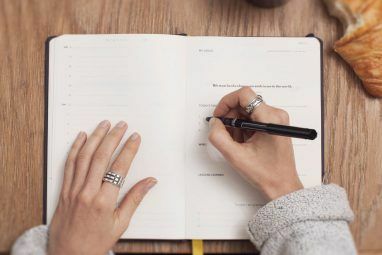 You can even try separating your to-do list by location Separate Your To-Do Lists By Location And Get Things Done Separate Your To-Do Lists By Location And Get Things Done The sight of a long to-list can be overwhelming — even paralyzing. An effective solution is to maintain different task lists, based on the place you are at. Read More with the help of apps, so you are forced to move around and tackle new tasks at new places. 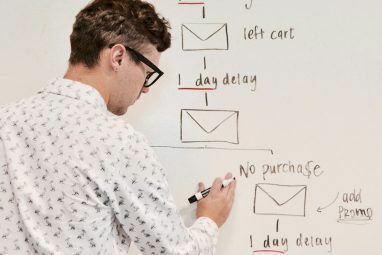 No matter which task list app you use, it is only as powerful as how you organize your to-do list 5 Reasons Your To-Do App Is Making You Less Productive 5 Reasons Your To-Do App Is Making You Less Productive Giving up on your to-do lists? Your problem isn't your ambition or the task planning app you use. The problem is in how you are using your to-do list in general. Read More . Just because you are in a slump doesn’t mean you can’t tackle some work, especially on those days when time seems limited and tasks seem unlimited. That’s when you need low-energy, low-motivation items. The basic takeaway is to make a note of tasks that don’t strain your mental or physical energy. If you don’t know how to categorize such tasks, use the Eisenhower Matrix detailed in our guide to prioritize your to-do list The 3-Strike System: How To Prioritize Your To-Do List The 3-Strike System: How To Prioritize Your To-Do List Are you not getting through your to-do list? The problem might not be your productivity, it might just be your priorities. Let's learn how to prioritise the to-do list, and get things done. Read More . If you already know how to use it, you can set up a Todoist filter based on energy levels How To Set Up The Ultimate Todoist Filters In 5 Minutes How To Set Up The Ultimate Todoist Filters In 5 Minutes So, you entered all your tasks into Todoist but the process of working through them is somewhat haphazard. That's because you probably don't have great filters. That's going to change. Today. Read More to automatically sort your items. Personally, I prefer using Google Keep, one of the best task managers around 4 Google Keep Tips And Tricks For Better Notes, Lists And To-Dos 4 Google Keep Tips And Tricks For Better Notes, Lists And To-Dos Read More . I’ve set Keep as my Chrome’s New Tab page 10 Most Productive New Tab Extensions For Google Chrome 10 Most Productive New Tab Extensions For Google Chrome When you start a new tab in a browser, are you looking to go somewhere or are you looking for information to come to you? Google Chrome has many extensions to make it productive. Read More , and only add items there which fit this low-energy, low-motivation phase. Whenever I’m in a slump, I tackle one of them. If I’m still low after I finish that, I tackle one more. It’s a simple way to get through those tedious tasks and keep them from piling up. If you prefer to stream your music, you’re in luck. You will find plenty to listen to in our guide to the best online music to boost productivity Find the Best Music to Boost Your Productivity Online Find the Best Music to Boost Your Productivity Online Listening to music helps you focus and get more done, according to music therapists. What kind of music will improve your mood, and make you more productive? And where should you start looking for music? Read More , from an online radio designed for productivity to video game soundtracks. You could also set up your own playlist on Spotify or Rdio Spotify vs. Rdio: A Complete Comparison Spotify vs. Rdio: A Complete Comparison I recently cancelled my Spotify Premium membership after a year of uninterrupted monthly payments to the company. This decision came about when I accidentally signed up for 14-days of free Rdio Unlimited. Quite frankly, I... Read More , or get started with the new Apple Music Getting Started With Apple Music — What You Need to Know Getting Started With Apple Music — What You Need to Know After the purchase of Beats last year, Apple has finally unleashed its streaming music service upon the world. Read More . Needless to say, you could also download your music and choose your favorite music player. We’re partial to Google Play Music, which is brilliant on Android The Best Music Player on Android: Google Play Music Reviewed The Best Music Player on Android: Google Play Music Reviewed Google Play Music is a music streaming service, a local music player, and a podcast player all mashed into one. And it's great. Read More as well as other platforms. How Do You Tackle a Midday Slump? HBR also suggests a few preventive strategies so that the slump never happens. They recommend getting 7-8 hours of sleep at night, and not relying on caffeine for a midday boost. But hindsight is 20-20, we want to know what to do when the slump has already hit! Tell us your best tip when you are struggling to be productive in the afternoon. People who win don't wake up at 6, Christian! THAT'S NOT WINNING! My fav is to listen to music while working, especially music that makes me want to dance! Music always does help though, yeah. I do get where you're coming from. Gym playlists often get me going in a slump too. The best way to avoid the afternoon slump is to not work in the afternoon. If you are self employed, get everything done with an early shift. If not, see how your employer feels about very early starts. 7-3 is achievable without stopping for lunch. ??? Not sure how that makes me a "weirdo". You afternoon slumper, you. You wake up at 7. Seven. SEVEN. If you don't see the weirdo-ness in that, I cannot help you. No, I wake up at 6. That's not weirdo-ness, it's parent. Pssh, ask your kids if you're a weirdo or not.